An opal is a gemstone that comes in a variety of shapes and sizes, reds against blacks being the most valuable. In 1975, Len Cram of Australia became the first scientist to grow opals in a laboratory. Years later, others are still trying to perfect his methods. Opal is primarily made of silica, which is most commonly found in nature as sand or quartz. 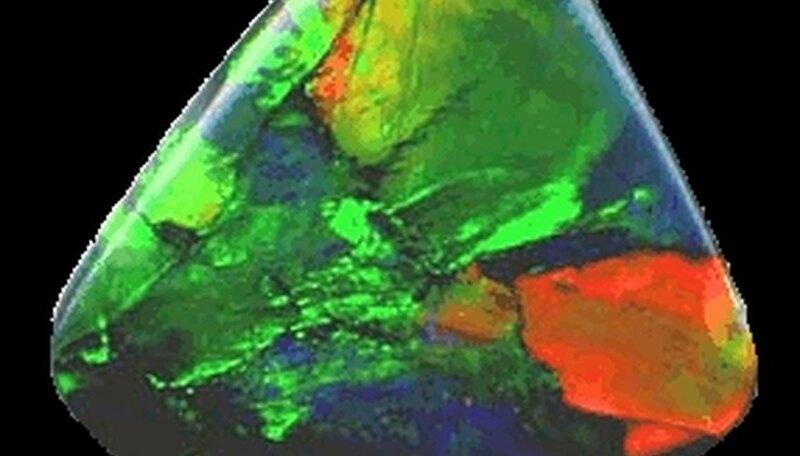 After the initial formation, in a matter of weeks, the opal has beautiful color patterns, but it is not fully formed. It takes months for this to happen. Create an electrolyte solution. Mix two quarts of water, one teaspoon of baking soda, one teaspoon of salt and seven tablespoons of sugar in your jar. Grind your piece of aluminum into powder with the bench grinder. Put the powder in your fireproof cookware. Place the cookware in your lit fire pit. Leave in fire for one hour. Mix one tablespoon of Fresh Step Crystals cat litter, remnants of aluminum and one tablespoon of Bon Ami into your electrolyte solution. Replace lid on jar and set in a safe place away from children. Do not disturb. Check after five months. Be cautious when burning the aluminum. Wear fire-repellent gear when executing step two, if necessary. Keep ingredients and mixture out of the reach of children. Do not ingest.